Ceremony today at the Animals of War Memorial in Hyde Park – London, England. The final day of our 7 week journey through Europe. 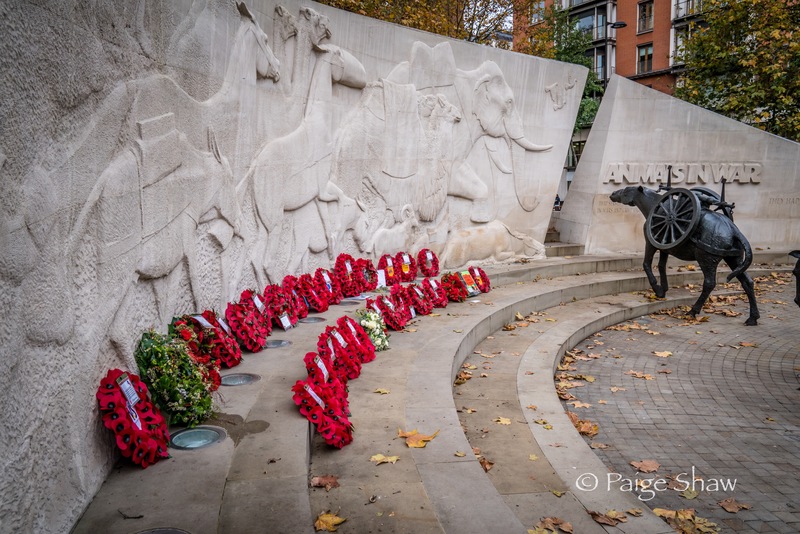 This entry was posted in England, Photo of the Day 2016 and tagged Animal War Memorial, England, London, Photography, Poppies, Travel on November 18, 2016 by Paige Shaw. Hello London and Oxford Street – so good to see you again. 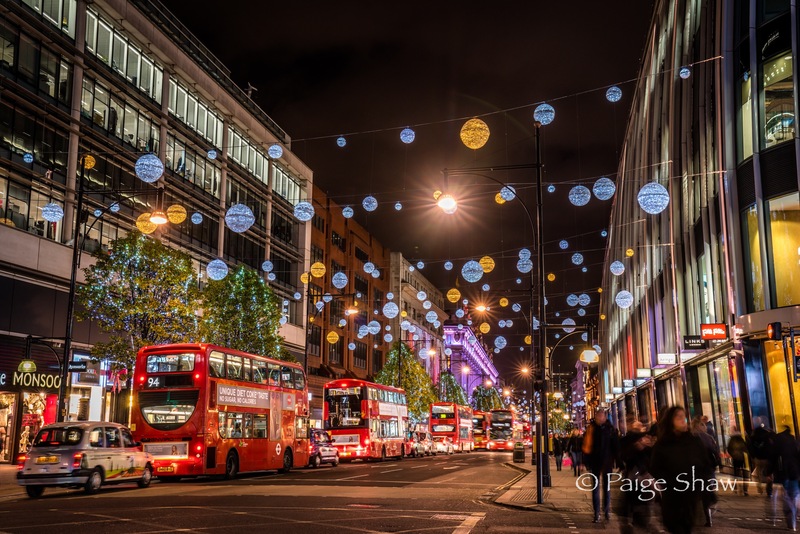 This entry was posted in England, Photo of the Day 2016 and tagged England, London, Night Photography, Oxford Street, Photography on November 17, 2016 by Paige Shaw. On any given Sunday in Hyde Park – London you can listen to the passionate. It is known as Speakers’ Corner where you can assert your opinion with impunity as long as you are standing 6 inches above the ground. The vim and vigor as well as audience participation make for hardy conversations and debate. This entry was posted in England and tagged Debate, Hyde Park, London, Passion, Speakers' Corner, Street Photography on October 31, 2016 by Paige Shaw. London – known as the global capital of the world – where English is not the primary language heard on the streets. Home to six Unesco world heritage sites. Large beautiful parks offer a peaceful refuge for those needing to step away from overcrowded streets and the jam-packed Tube. London has it all. Old and new – fast and slow – expensive and more expensive. This entry was posted in England and tagged Buckingham Palace, England, Hampton Court, Hyde Park, London, National Museum, Night Photography, The Eye, Travel, Tube on October 30, 2016 by Paige Shaw. 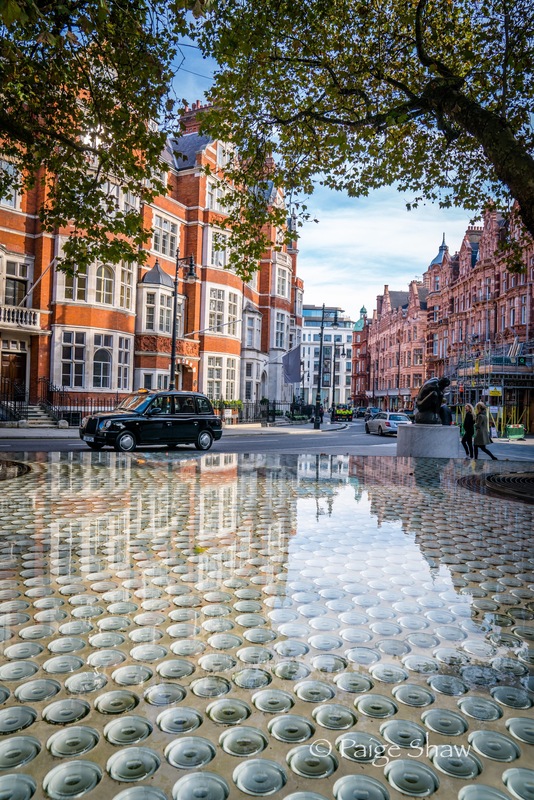 This entry was posted in England, Photo of the Day 2016 and tagged City Life, England, London, Photo of the Day, Photography, Reflections, Travel on October 27, 2016 by Paige Shaw. A Unesco World Heritage city on the banks of the River Avon and site of the coronation of Edgar, the first king of England in 973 A.D. – home to Jane Austen. It was occupied by the Romans since 23 A.D. who enjoyed 300,000 daily gallons of 120 degree water flowing from the ground. This entry was posted in England and tagged Abbey, Bath, Bubbles, Composer, England, Fall, Flowers, Geraniums, Ivy, Pews, Roman Bath, Waterfalls on October 27, 2016 by Paige Shaw. 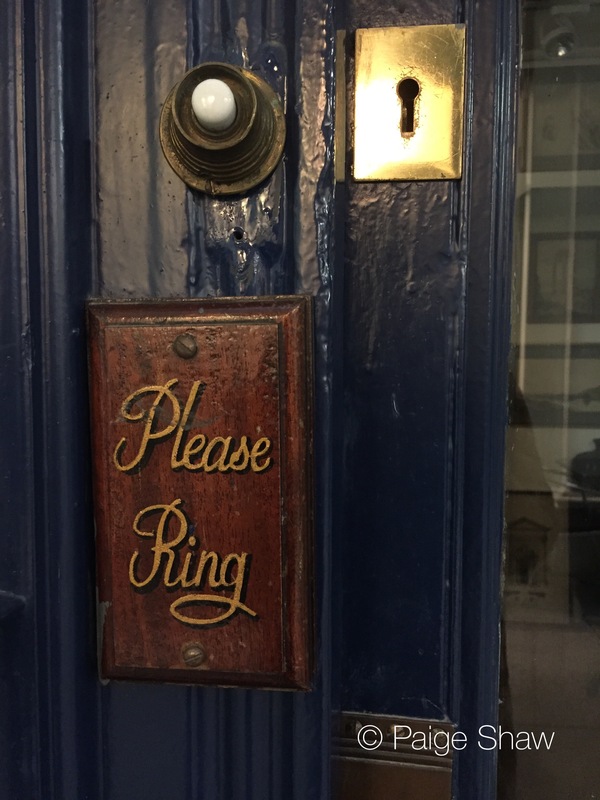 This entry was posted in England, Photo of the Day 2016 and tagged Bell, Doorbell, England, London, Photo of the Day, Photography on October 26, 2016 by Paige Shaw.